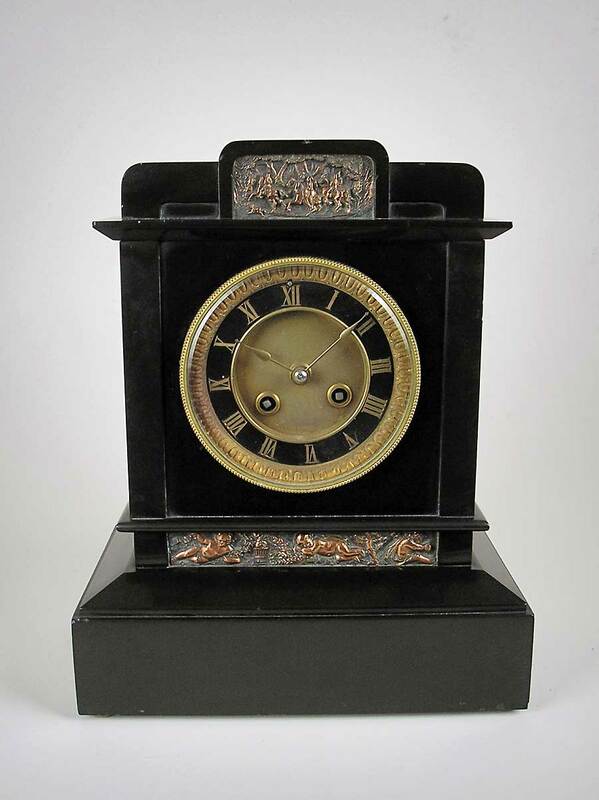 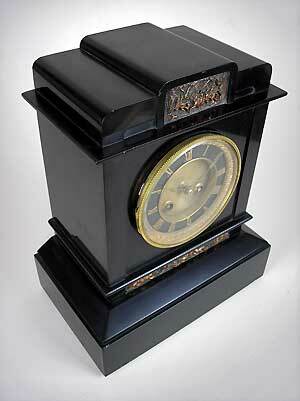 This is a French slate mantel clock with embossed copper inlays. 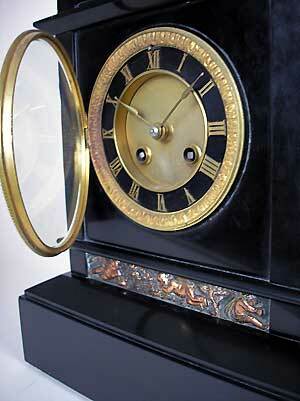 The clock has black slate chaptering and gilt Roman numerals with gilt spade hands. The clock's gong-striking movement is of eight-day duration.